I struggle with tight hips and I want to learn Lotus Posture (Padmasana). Can you suggest a sequence that will help open my hips and help me do Lotus Pose? Most students make the same mistake when they work on their hips and try to grow a lotus: They focus too much on stretching their outer hips and forget to open the other muscle groups that comprise their hip-joint. Don’t get me wrong—the outer hips usually need plenty of help. But, the key to freedom and balance in your hips is working with all the muscle groups that affect the joint, not just your bum. I can’t promise you a Lotus, but practicing the following sequence will make your hips be happier and healthier—and, if anything is going to help you sit in lotus, this practice will. • Hip-Flexors: These muscles cross over the front of your hip-joint and flex the hip. • Adductors: These muscles that line the inside of your upper-thigh are usually left out hip-opening sequences. Not only do they quality as hip muscles because they start on the pelvis, cross the hip-socket and connect to the inside of the thigh, they may be more important to a comfortable lotus than you think. When these muscles are tight, they pull the knees up while attempting Lotus. • Hamstrings: The hamstrings are not a significant factor in Lotus and they’re not usually thought of as hip muscles. However, they originate on the bottom of your pelvis, cross the back of the hip-socket, and run down the back of your leg. 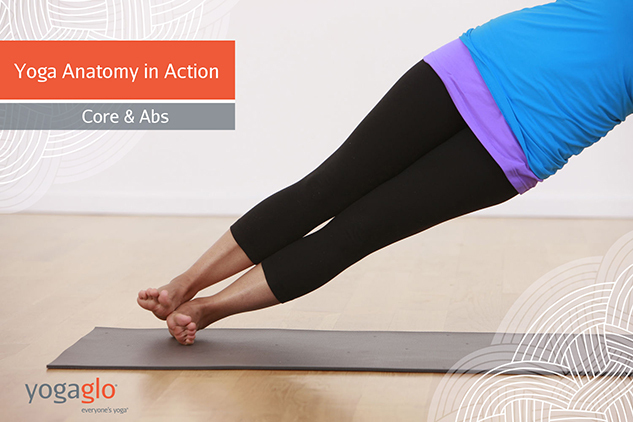 This means that a balanced hip-opening sequence will include postures that release this group of muscles. • External Rotators and Gluteus Maximus: Describing the Gluteals and their functions in a few words is tough because this family of three muscles does a lot of different work. Let it suffice to say that this is the region that we tend to think when we think of hip-openers. This is the bitter-sweet, hurts-so-good part of the body that we stretch when we do Pigeon Pose. • Abductors and IT Band: Targeting this region is another key step in releasing hip tension and developing lotus. These muscles run from the outside of the hip bone, cross the outside of the hip-joint and attach to the outside of the thigh. Since this region is harder to get good leverage on than the External Rotators, it is often short-changed in hip-opening sequences. Focus on rooting down through the top of your back foot and lifting up through your hip-points to get the most from this hip-flexor opener. This posture continues the hip-opening that began in Anjeneyasana and digs deeply into the quadriceps. This wide-legged standing forward bend stretches your hamstrings and adductors. It also prepares you for the more intense Wide-Legged Squat that follows. This is the most effective standing posture for releasing tension in the adductors. This postures effectiveness by using your forearm to press your thigh away from the midline. Revolved Triangle Pose is one of the most effective postures for stretching the hamstrings, abductors, and IT band. This posture recreates the same dynamics of Revolved Triangle in a reclined posture. By reclining, you can stay in the posture for much longer and exert greater opening on the targeted muscles and connective tissue. 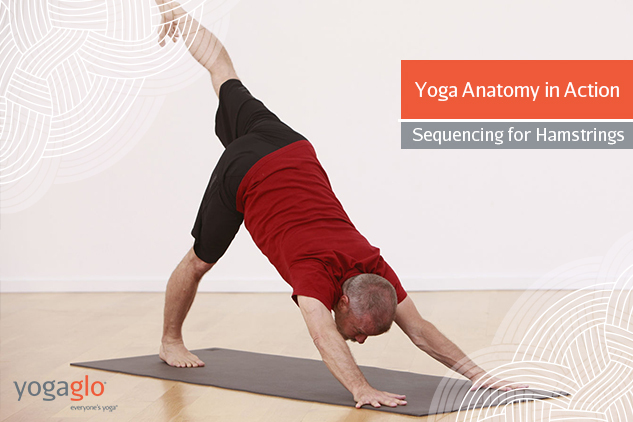 Become an authority on yoga anatomy and yoga sequencing by joining Jason Crandell’s online trainings. 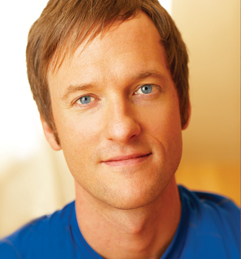 Jason Crandell is a natural teacher and author with more than 15 years of experience. His accessible, grounded classes integrate the best elements of power yoga, anatomical precision and mindfulness teachings. Considered a “teachers-teacher,” Jason has taught on countless teacher-training faculties, leads trainings globally, and regularly presents teacher-training content at esteemed conferences. Follow Jason on Facebook and Twitter.